100% natural, healthy and nutritious. 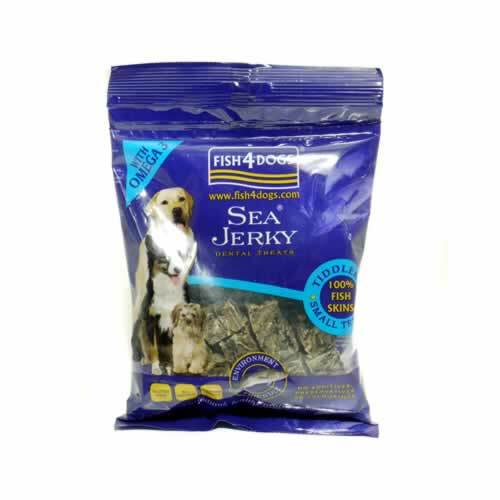 Fish 4 Dogs Sea Jerky Tiddlers are similar to the Fish 4 Dogs Sea Jerky Squares, but a smaller size treat, which is ideal for smaller dogs or as a training reward/treat for larger dogs. Sea Jerky can also help to reduce tartar from dogs teeth and are packed full of essential goodness and natural Omega Oils. Gluten free with no additives, preservatives or colourings. Suitable for all sizes of dog.